My E-book shows you how to make steady progress starting now! Eliminate negative self-talk, overwhelming feelings, and practicing with little improvement. Written in plain English, no musical jargon. Shows step-by-step actions you can take. Works well on a computer or tablet, or can be printed on standard-sized paper for use in a binder. If this book doesn’t deliver all that you hoped for, we’ll refund your money ~ you have nothing to lose. Enjoy at your own pace! 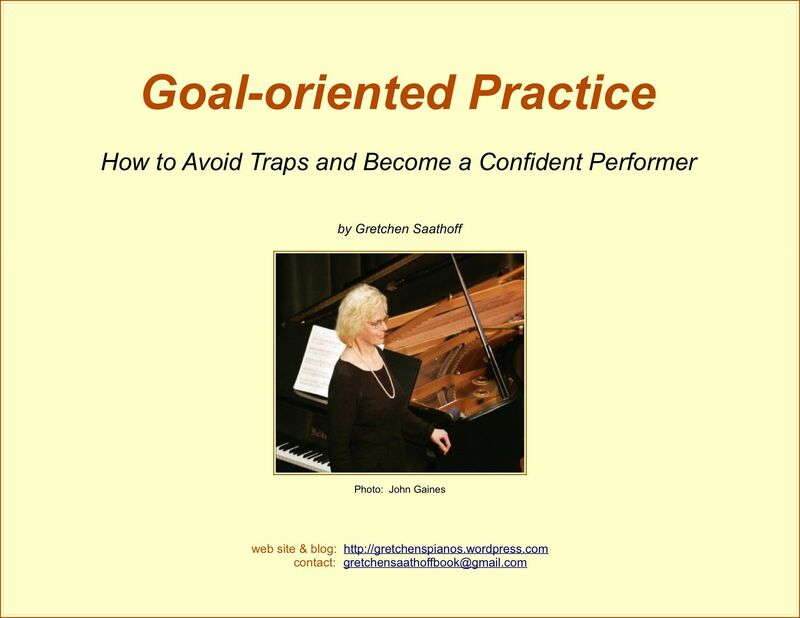 See immediate, steady, ongoing improvement in your playing. Read a review by Dr. Gail Fischler, Eastern Arizona College. Read a review by pianist Catherine Shefski. Read a review by pianist and composer Robert W. Oliver. New! Lower price! Now only $10. and to my Facebook and Twitter friends for their ongoing presence. I couldn’t have done this without you!